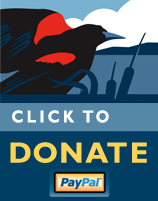 Based in Berkeley, the Bay Nature Institute is dedicated to educating the people of the San Francisco Bay Area about, and celebrating the beauty of, the surrounding natural world. Their aim is to inspire residents to explore and preserve the diverse and unique natural heritage of the region. Their newest map lists Shollenberger Park as one of the Bay Area's "Protected Parks & Open Spaces." This is a wonderful accolade but at the moment Shollenberger Park is not a protected area and is, in fact, in serious danger. Following the Sonoma County Supervisor vote on May 12th, will Shollenberger still be the diverse and unique place it is today? Join our Network in opposition of the Dutra asphalt plant proposal at Haystack Landing.